NASA and the Private Sector US Politics Mega-thread If you're seeing this topic then another mass shooting happened and people disagree on what to do TeamLiquid.net becomes TL.net Ask and answer stupid questions here! All eighteen teams are divided into two groups where they play in a Round Robin format. All matches are played in a Bo2. The top four teams in each group advance to the Upper Bracket of the Main Event. The bottom team in each group is eliminated. The remaining teams advance to the Lower Bracket of the Main Event. Optic vs VG as last game of the day? Too hype. And VP vs VGJ.Storm to potentially decide who gets 1st in group B. Really excited for these games. If EG and Liquid tie how is first place decided? Does Liquid get it 'cause they 2-0'd EG? Yes Sir Liquid first place if tie with EG happens. Additional series played only between 4 and 5 place if tied. And also between 8 and 9 place in case of a tie. I just hope vgj.storm manages to take first. Would much rather see og face them over vp. Tough games for Secret, cos both their opponents are also fighting to secure upper bracket. Secret should be able to get 1 game from TNC and Newbee and they better make it 2-0. 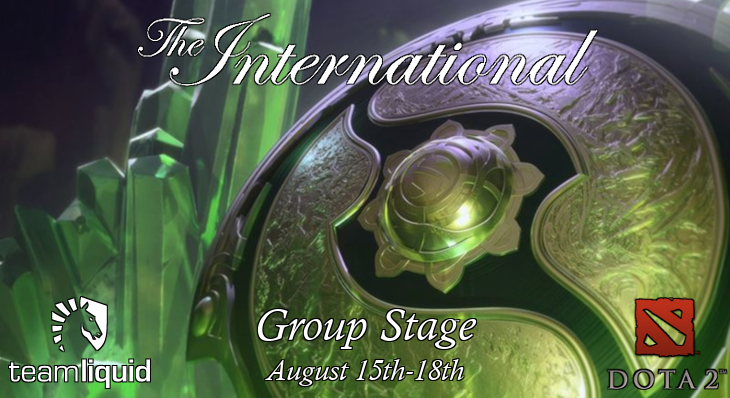 Group B looks strong, while group A 4th place (likely OG) is the weakest among the upper bracket. I'm really surprised by OG, I did not think they could do so well just after losing two tier 1 players. "Back then teams that won were credited, now it's called throw. I think it's sad." - Kuroky - Flap Flap Wings! Let's go Newbee and OG! group b is insane. EIGHT teams still don't know whether they're upper or lower bracket. If the games go just right, VP could enter the lower bracket after tiebreakers or optic go upper. Not that either of those are likely. Give Liquid vs VP in Grand Finals. Well, they could make upper bracket or get eliminated after groupstage. So they're either amazing or trash. Just like almost the entire group B, lol. Good laners. Mediocre mid game and team fights. Strange picks that works sometimes, other not. Btw, why have Australia on mouse over of top logo? ppd why did you give them pango! why! He tricked them into picking Rubick though, so it balances out. It is 1-7 thus far. VGJ.S looks like only team that has a good game plan that works. Everybody else is scrambling to get their stuff together. Same problem you see with the lowest teams in Group A. VP still has their great play carrying them through but their drafts and strategy could use some work I think. It looked good yesterday as well. Really suits a lot of 2-1-2 lanes. So agree that not seeing it is strange. Good aura carrier. Please log in (you can use your steam or reddit account!) or register to reply.